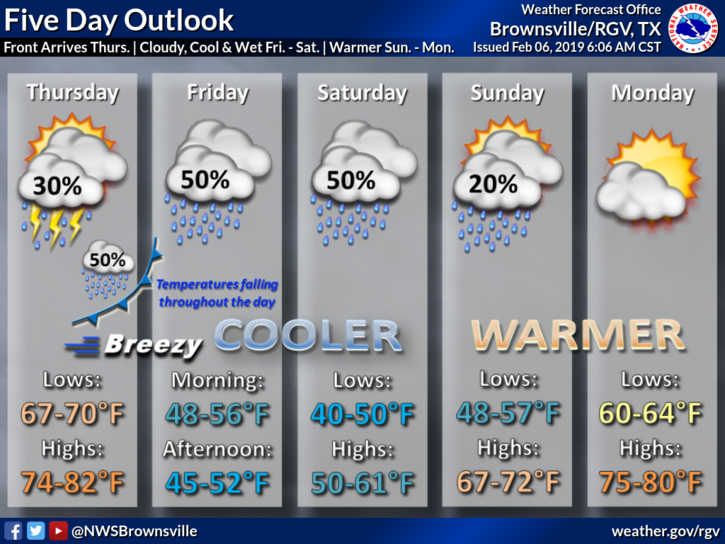 Some areas of the western portion of the Rio Grande Valley will flirt with 90-degree weather on Wednesday, according to the National Weather Service in Brownsville. Expect above average temperatures and breezy conditions. Rio Grande City is expected to see a high of 89 degrees while McAllen will reach 86. 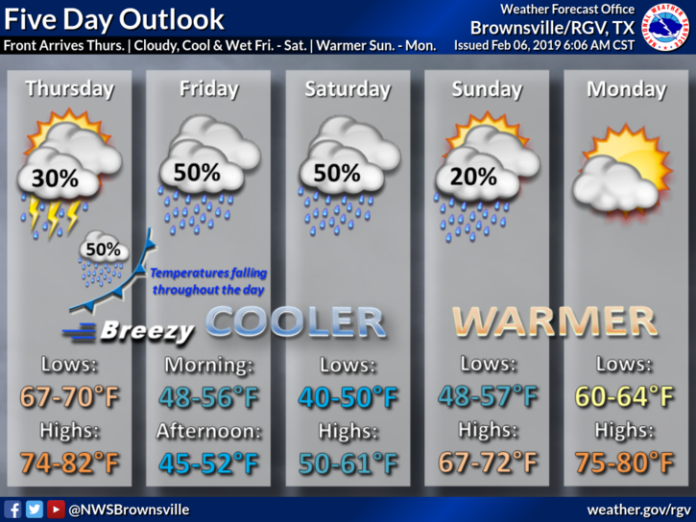 Brownsville’s high will be 82. South Padre Island will be cooler at 72. Looking ahead, a cold front will move into the area beginning Thursday afternoon. This front will feature a chance for a few thunderstorms. Temperatures will fall through Friday and into Saturday morning with breezy winds, cloudy skies and light rain. Highs on Friday will range from 45 to 52 degrees. Lows on Saturday will be in the 40s with high temperatures ranging from 50 to 61.